MARZAVAN is a Berlin-based internationally acting innovation and capacity building agency. We facilitate human-centered, design-driven change processes towards more innovative and purpose-driven organizations. We advise, coach and train people. We help restore creative confidence, empathy and trust. We believe these are the three key ingredients towards sustainable innovation. Through Design Thinking we help people become transformational drivers within their organizations. You want to redesign your product or create a whole new service? You want to implement Design Thinking in your organization? Together, we will create a tailor- made approach that works for you; accompanying you through the entire Desing Thinking process, from customer research and insight analysis to ideation and prototyping. We believe that Design Thinking is a tool that needs to be spread. That is why we work together with universities in Berlin, Barcelona and Kiel to teach students how to approach challenges with a different, empathetic mindset. We also offer Design Thinking Trainings for organizations and individuals. 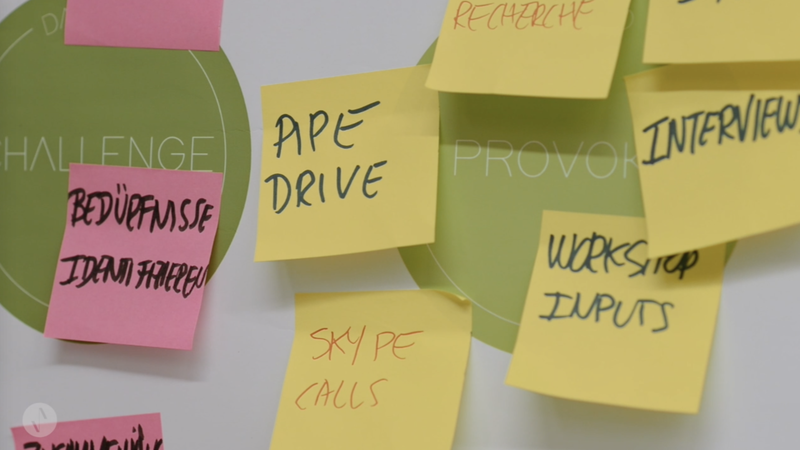 Members of our team approach Design Thinking in various academic research projects. We share our knowledge at international conferences, research groups and in scientific journals. Topics include: Design Thinking’s impact on organizational structure and management styles, responsible management, New Work and reCoworking. We practice what we preach by engaging in non-profit social and civil projects. We initiate and conduct bottom-up and community-driven transformative design interventions. These are multi-stakeholder projects where we manifest our individual passions and skills. They range from hacking for peace in Colombia, to building an inclusive coworking space in Kiel, or setting up a SPoC with students from Berlin and Madagascar.